Are you interested in hearing from our area State Representatives and Senators? 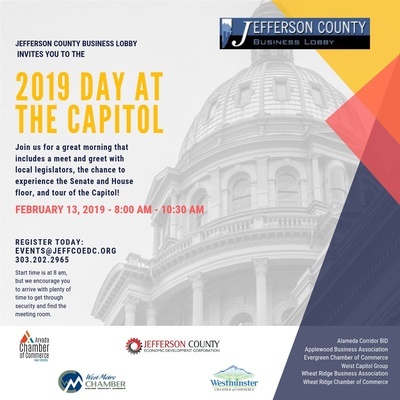 Join us for this free Chamber Day at The Capitol. RSVP below, if you would like to carpool with us, drop a comment on your registration. We will be leaving the Chamber Office - 9191 Sheridan Blvd. at 7:00AM on Wednesday, February 13th.